Meet Maggie of Crystal Clear Coaching - People to Remember Their Greatness! Maggie is a Certified Life Coach with The Life Purpose Institute. Maggies is a Certified Holistic Nutritionist and has her diploma through the Alive Academy of Natural Medicine. She also has a passion for Entrepreneurism and provides Business Coaching for individuals and small to medium sized business owners, so that they can take their business to the next level and beyond. 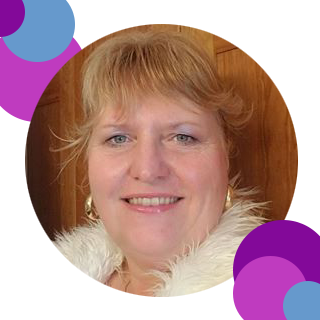 Maggie provides one-on-one coaching sessions as well as group coaching, workshops, seminars and lectures. The mission of Crystal Clear Coaching is to uplift, inspire and motivate individuals, businesses and organizations to implement change, understanding, and growth. I live in Thunder Bay, Ontario, home of The Sleeping Giant. I am honored to live with my soul mate and life partner Don and my daughter Sivanna Rose. Sivanna is a 11 year old girl who I believe was sent to me as a divine gift and teacher. I am honored to be her earthly guide. I believe she is here to do much good on this earth and I am delighted to learn from her. One of my ongoing passions is to help all children on our planet learn about nourishing both body and soul and to learn to live joyously, with spirit and to be their authentic selves. Don is my partner, business partner, mentor, spiritual guide, best friend and confidant. He is also the man whom I bounce a million different ideas off of and count on his endless feedback, love and support. That life is meant to be meaningful, joyous, and happy. That we are creatures of love and empowerment. That we are here to design and creates lives that not only “work” but that have meaning and fulfillment for ourselves and for those around us. That we can be the best that we can be if we so choose. … or that perhaps creating a life of “simple things” is what may better serve us. It is not what we create, but that we CAN create the ideal life for ourselves. That balance in life and work not only IS attainable but can be fun and rewardingand most of all that our "Purpose" is what we say it is.